Speaking of Travel® - Speaking of Travel Climate Listening Project Series 2018! Speaking of Travel Climate Listening Project Series 2018! Description: The Speaking of Travel Climate Listening Project Series 2018 launches the year with Dayna Reggero of The Climate Listening Project. Dayna will join me in the studio and we’ll be featuring guest experts connecting climate change and travel. Today's conversation is around climate change, travel, words, poetry and an incredible journey to Scotland with Laura Hope-Gill, founder of the Asheville Wordfest Multicultural Poetry Festival. The Speaking of Travel Climate Listening Project Series 2018 launches the year with Dayna Reggero of The Climate Listening Project. Dayna will join me in the studio and we’ll be featuring guest experts connecting climate change and travel. 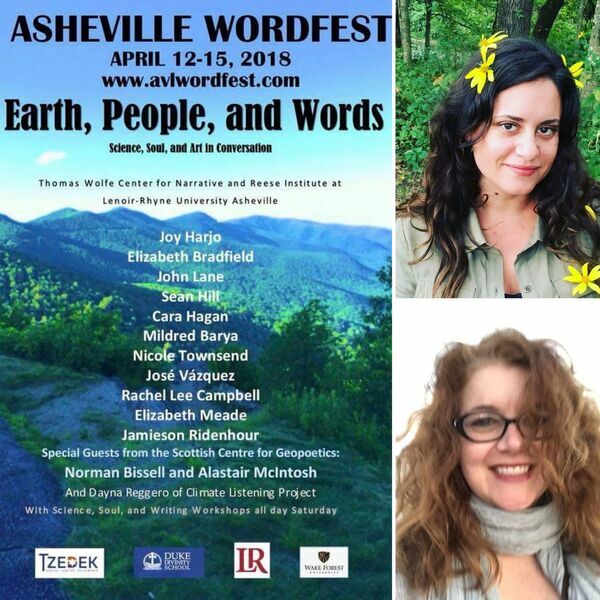 Today's conversation is around climate change, travel, words, poetry and an incredible journey to Scotland with Laura Hope-Gill, founder of the Asheville Wordfest Multicultural Poetry Festival.